Tree Compartmentalization - What is it? Home / Arborists / Tree Compartmentalization – What is it? Tree Compartmentalization – What is it? When we cut our skin, we know that it will eventually heal with little trace of the wound left behind. While as humans, we have the ability to regenerate cells, trees do not. This is something commonly overlooked and time and time again, we see tree owners that have unknowingly caused the peril of a tree without even realizing it because they don’t understand how trees repair injuries. The one word you need to know? Compartmentalization. Before tree compartmentalization was thought of, scientists believed tree decay led to fungal growth. It was a German forester, Robert Hartig, who theorized that trees worked in an opposite fashion: trees are wounded, fungi infect the wounds, and final product is decayed wood. With more and more research, other scientists helped to expand Hartig’s theory leading to what we know about compartmentalization today. The modern concept of tree decay looks like this: when trees are wounded, many organisms, not just fungi, infect the wood at different times and in different ways; trees respond to these infections with both chemical and physical changes; discolored and decayed wood results, but is limited by compartmentalization. 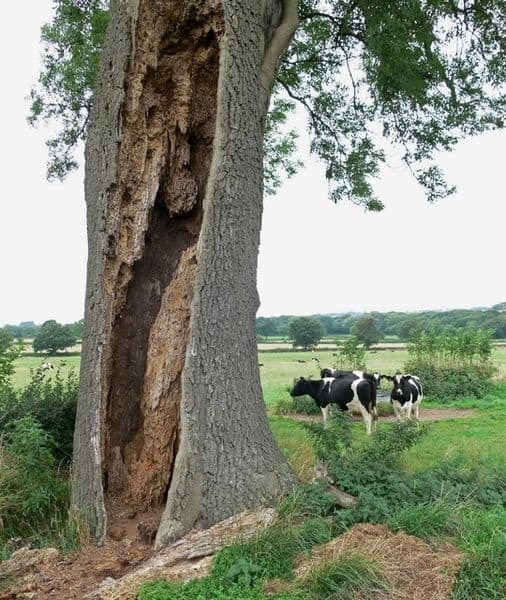 According to CODIT (Compartmentalization of decay in trees), when a tree is wounded it begins to protect itself by slowing or preventing the spread of disease and decay by forming “walls’ around the wounded area. Wall 1. The first wall is formed by plugging up normally porous vascular tissue on top of and under the wound. This tissue runs up and down the length of the stem, so plugging it works critically to quickly slows the vertical spread of decay. This wall is the weakest. Wall 2. The second wall works to halt the spread of inward decay and is formed by the cells of the growth ring interior to the wound. This wall is continuous except where it runs into ray cells (see Wall 3) and is the second weakest. Wall 3. The third wall is formed by ray cells, which are groups of cells organized perpendicularly to the stem axis, splitting the stem into sections sort of like the slices of a pie. These group s of cells are not continuous and vary in attributes like length, height and thickness, forming a maze-like barrier to lateral growth of decay. Before the growth of the fourth wall, this wall is the strongest. Some ray cells are even chemically altered to become poisonous to certain harmful microorganisms. Wall 4. The fourth wall is created by new growth on the outside of the tree, completely isolating tissue present at the time of the wound. This is the strongest wall, and usually the only one which will stop the spread of infection entirely. When only the fourth wall remains intact, the result is a common sight in the woods: a living tree where the inside is completely rotted out. In this case, all the tissue present at the time of the wound has become infected, but new tissue has been allowed to continue to grow outside of the fourth wall. When it comes to spotting tree decay in Portland, nothing matched the expertise of the certified arborists at ArborPro Tree Experts. Give us a call today to receive long lasting tree advice and learn more about taking care of the trees on your private or commercial property.